I am a creature of habit so it’s unsurprising that my beer drinking can sometimes fall into a habit too. A while ago I noticed a running theme of hop heavy, American style pale ales dominating my fridge, my palate and my credit card statement. Since this realisation I have made an effort to look outside these, look for beers that aren’t my usual American and Australian hop monster to make sure I’m drinking more continuing to a diverse beer journey. 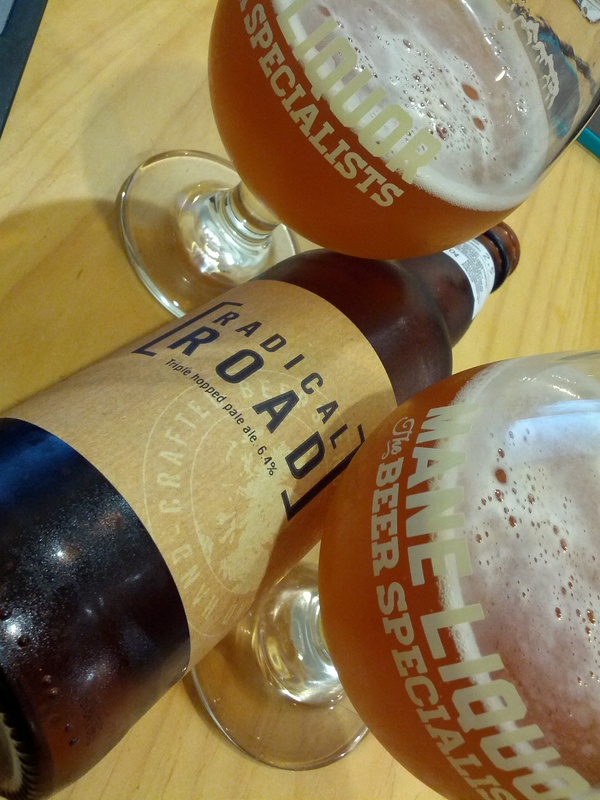 Radical Road is a triple hopped pale ale, though one could argue this isn’t unique – early hops for bittering, late hops for aroma and dry hopped for even more aroma. According to the website there are three different hop varieties used at seven stages of the brew. Less showy than it’s American counterpart this pale ale is still flavoursome with tropical fruit salad on the palate with a floral and pineapple nose. Easy drinking and well balanced, I could easily have a few of these! Although it’s from English this IPA is an American-style and uses Simcoe, Centennial and Cascade hops. 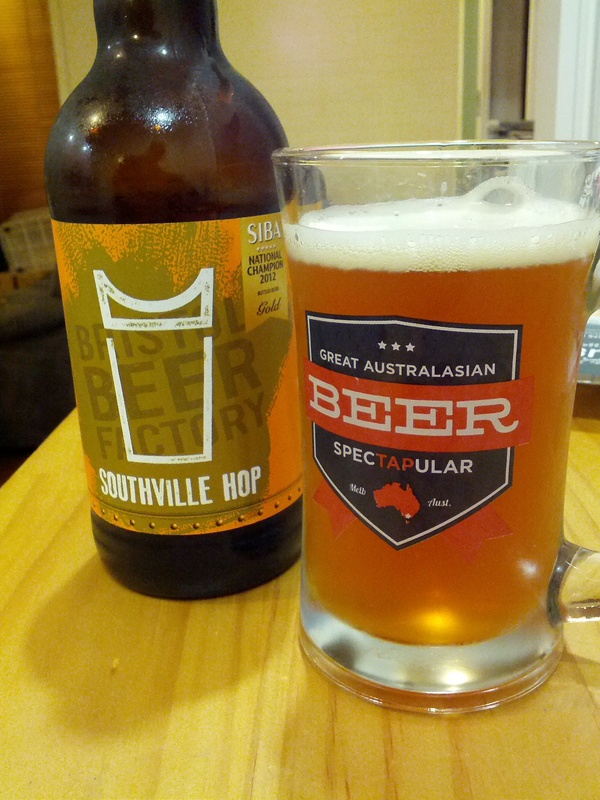 Southville Hop is bottle conditioned so goes through fermentation in the bottle. The aromas and flavours are very familiar to it’s American counterparts, the nose carrying pineapple and some citrus and the flavours are piney and citrusy with a dry floral finish. The hop character does seem a little damp and subdued though when compared to freshly hopped local beers like Feral Hop Hog and Bootleg Speakeasy IPA. In the bottle it’s a damn nice IPA but I reckon fresh from the brewery it’s a cracking, thigh slapping, drool inducing drop. Thank you to Dom at The Beer & Cider Co. for sending me these beers to sample.